A Perfect World has readers from youth, teen, to adult. There are final female art drawings and others included in the book for enjoyment. Readers will find a fest of soaring cars, sci fi ships, and beings. As well, one will find a chateau floor plan and planet map. T. K. Hall does not consider life to have a beginning or an end, but a past and a future. A future of how things can be, rather then dwell on the past of what was. Acknowledging the past as having generated the person she is today, experiences that help drive her stories of what could be. And, perhaps, what are to what some call fantasy. With a father in the military, T.K. Hall found growing up in various countries around the world invigorating yet insiteful. These cultures, languages, and lands cultivated a life of interest in living. Perhaps these childhood viewpoints helped free being stuck in “one cultural way of living” to see that life was many things to many people. Viewing how life could be in a spiritual world compared to just a material one, "A Perfect World" evolved. Living on the farm south of Staples, MN has been an oasis from the hectic world. Though once considered "out in the boondocks," now the homes around seem like countryburbia. 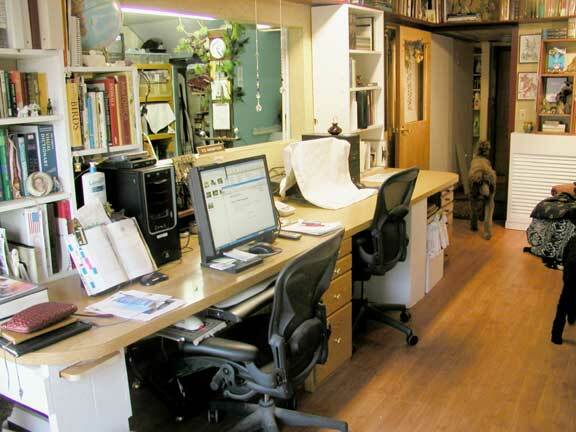 Married, an adult son, and five standard poodle pets complete a day in what could be a quiet atmosphere. 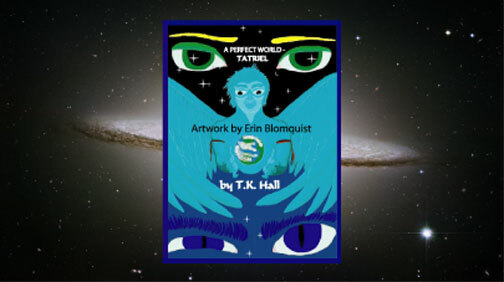 "A Perfect World-Tatriel"-Buy it Now, Fantasy Novel Science Fiction Book, children, youth, adult reading. Click on picture below to Buy it here and receive a signed copy. Book Reading List that helped T.K. Hall write. Fantasy Novel Book author's decision to self publish. Self Publisher Links you can research. Read sample pages of "A Perfect World-Tatriel"